How Do I Play Slots Online? Boy, if I had a free spin for every time I've been asked that question, I'd be a millionaire! The short answer is that it is very easy to play and enjoy online slots games. The difficult part is sorting through all of the different types of online slot machines, deciding which type to play, choosing between playing online slots for free or for real money, determining whether it will be necessary to download casino software in order to play that particular slot machine that caught your eye, understanding which games are available for free play and which online slots are not. Finding online slots that do not require you to download anything in order to play. The list of choices goes on, but hopefully after you have read through our beginner's guide to playing slots online, many of your former questions will have been answered, the shroud of mystery surrounding online slot play will have been lifted and you will feel more comfortable and finally be ready to play slots online. Before you can feel comfortable enough to play slots online, it is always a good idea to acquire some knowledge about the games you might play. There are basically two types of slots online: stand-alone (non-progressive) and progressive. This is identical to what you would find in a real casino. Certain casino slots have their own pay tables and, although they may be physically next to other slot machines, their jackpot is a fixed amount and not dependant on the jackpots, or play, of the other machines that surround it. These types of machines are what we would consider stand-alone, or non-progressive. These types of slots exist in your local casino and are offered by ALL online casinos, as well. Progressive slots are linked, or networked, to other similar types of machines. The jackpot on progressive slots continues to grow, the more these machines are played. A portion of every wager made on this type of slot machine contributes to increasing the jackpot. It does NOT matter whether progressive machines are in casino A, B, or C as the progressive jackpot is shared among all like-machines and wagers made on this type of machine in any casino, contribute to increasing the jackpot that is offered on this type of machine at all casinos. Oftentimes, casinos in a certain area, such as Atlantic City, will have all progressive slots of a particular type networked together, this allows the jackpot to grow more quickly and reach some staggering amounts. Progressive slots online that are offered by the same software developer (such as Microgaming) have this same trait. It does not matter if you are playing Major Millions slots at online casino A or online casino B, the jackpot is shared and, once won, is reset for ALL online casinos offering that particular slot. Progressive slots are offered by your local casino and ALL online casinos, now, as well. In a land-based casino, the slot machines offered come from different manufacturers. The two biggest being International Gaming Technologies (IGT) and Bally's. Now, some players prefer IGT slots and some players prefer Bally's slots and will select machines of one type over another due to previous experiences, looks, theme and more. Online slots are similar in that there are only a handful of software developers who provide the software for these games. The 'Big 3' online software development companies are Microgaming, Real Time Gaming (RTG) and Cryptologic. Almost all of the online slots you can play will have been developed by one of these three companies. Some slots are available for online slot players to play for free, without downloading any software. These types of online slots are called FLASH SLOTS. They are named this because the software that makes this possible is called Macromedia Flash. Here is a link to a unique set of free, no-download flash slots The types of slots offered for free online play are, generally, the stand-alone or non-progressive online slots. The reason for this is, since the progressive slots online are all networked together the software functions in such a way that deposits are necessary to increase the overall jackpot. The free, stand-alone, games do not have the progressive feature and, thus, do not require any real money deposit. The types of slots, then, that require the player to download the casino software are, generally, the progressive slots online, as well as many new online slots that are not yet offered in no download (Flash) format. Playing the free slots online is easy, as you can see if you click on any of the game links above. A window should open and in this window, the online slot you selected should appear, along with a starting amount of free slots credits with which you can wager. Practice on the free games above for a period until you become comfortable betting the proper amount, selecting active paylines and understanding payout amounts for the various wins. Some of our most favorite online slots games are those that are very similar to the most popular casino slots. For instance, one of our favorite casino slots is Wheel of Fortune Slots. Other online slots games we enjoy are: Blazing Sevens, Cleopatra, and Red, White and Blue, just to name a few. Now we hope you are prepared to play slots online for fun or for profit! Play Video Poker Slots continues to present our visitors with educational, as well as informative articles and guides for playing poker, slots and video poker online. 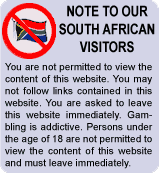 We encourage our visitors to be as knowledgeable about any of the games they choose to play and strive to present unbiased, detailed factual information regarding online casino games. Thank you for visiting our PLAY SLOTS ONLINE page.